The US retail sales for Holiday Season 2016 are likely to hit USD 868 Billion with a surge in e-commerce volume, that accounts for nearly two-thirds of the season’s Year over Year growth. According to Bing Ads Insights Report, Search Engine Marketing and Organic searches account for more than 50 percent of all sales and acquisition. Online Search is also termed as the “Preferred Channel” for Gifts Inspiration. Nearly 50 percent of the planned budgets were allocated for Search Engine Marketing and Search Engine Optimization by Retailers in 2015. 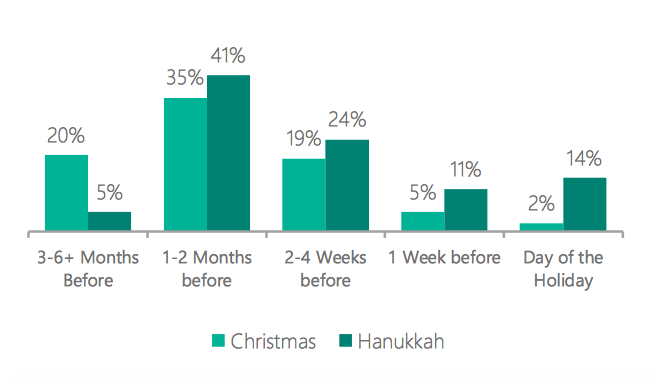 With the high search volume, during the holiday season advertisers need to be ready with their campaigns as early as the first week of October. 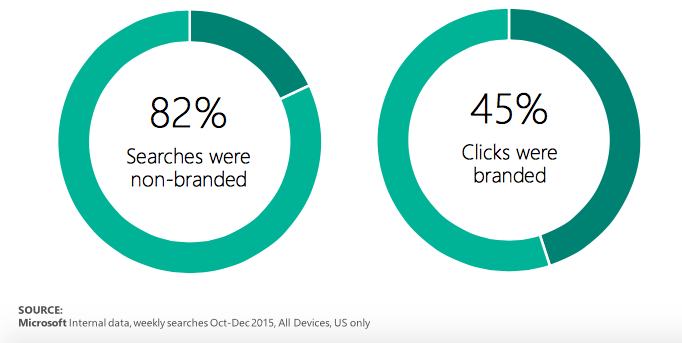 For Electronics and Electronic Gadgets, the top ten searched keywords, according to Bing’s Internal data for 2015, included: “TVs,” “TV,” “headphones,” “wireless headphones,” and “beats headphones.” Additionally, more than 80 percent of searches were non-branded, however 45 percent of clicks are accountable to branded keywords. 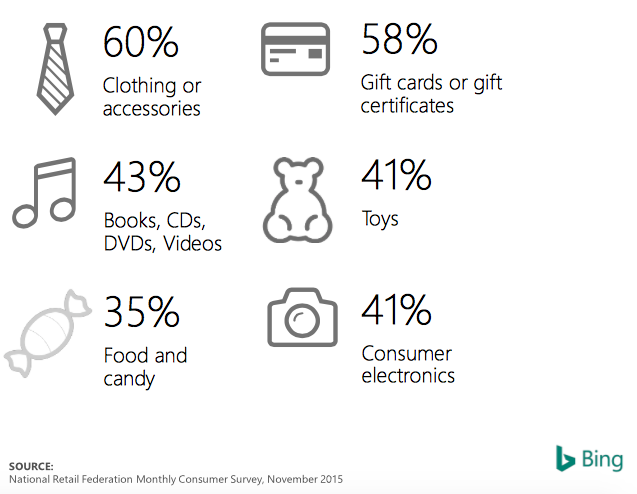 The search volume for leading categories varies with Gift Cards and Clothing or Accessories accounting for more than 50 percent of all queries for finding the right gift, according to NRF report. 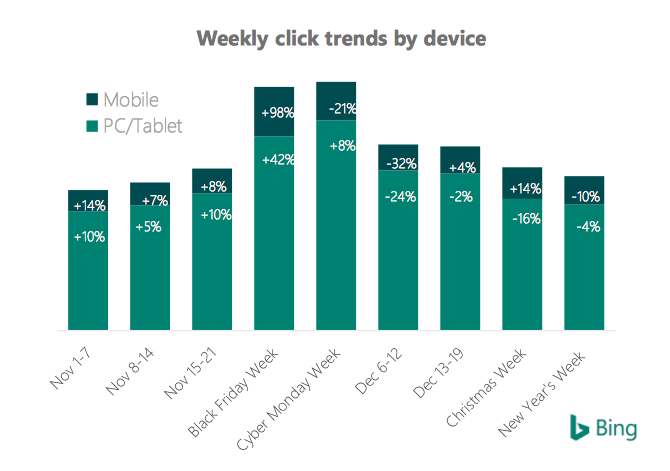 Black Friday Week saw click volume double on mobile, however the clicks declined by 21 percent in Cyber Monday Week. The Desktop/Tablet volume continued to increase by 42 and 8 percent for the two consecutive weeks. The CTR sees two distinct peaks. coinciding with online sales during the Black Friday Week and a in the preceding weeks accountable to the early sales announcement. 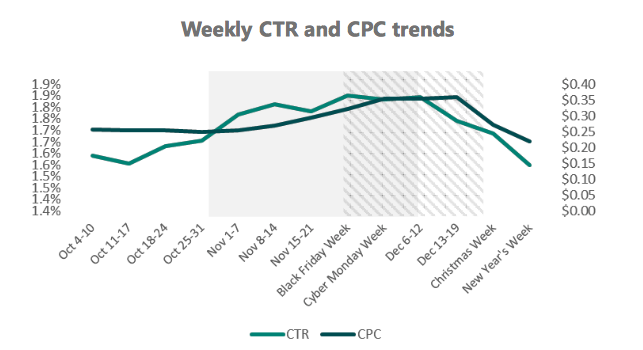 The CPC on the other hand rises at a slower rate during the preceding weeks with a distinct peak during December, as per the Bing’s internal data for Toys Category. Holiday season shoppers plan their purchases early, making retailers plan for an extended Holiday Season Shopping. 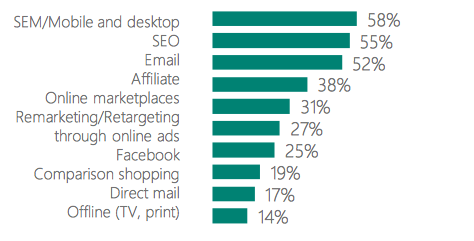 According to Bing Ads Insights report, Shoppers are by and large Channel Agnostic. The choice of channel depends on value, convenience and reassurance. 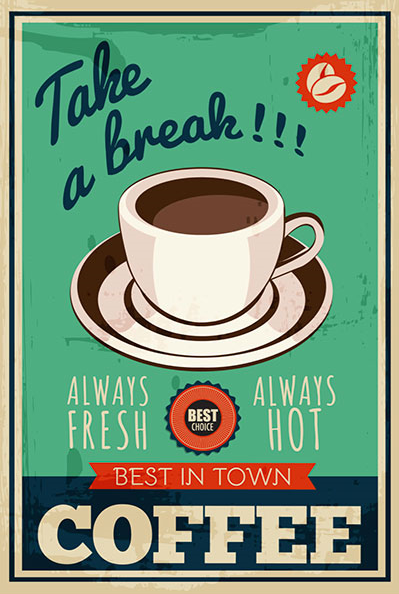 Shipping, Price-offs and ease of return with an assured quality are key considerations. Though consumers who search on Mobile and Online, anticipate spending 75 percent more while shopping, in-store. 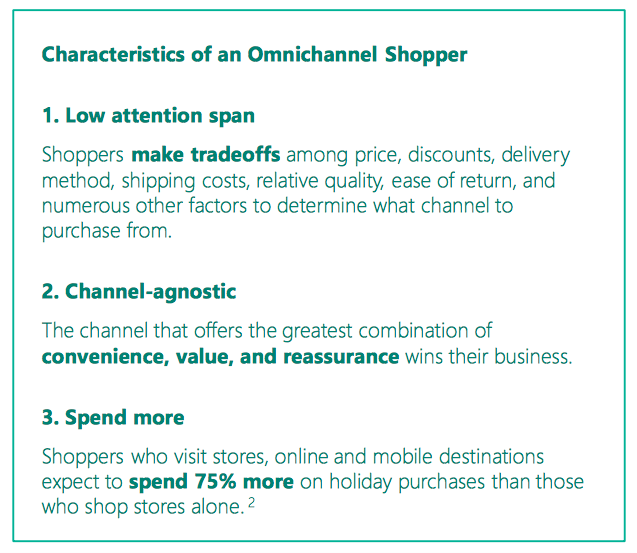 To optimize your campaign for the Omnichannel shopper, here are the key considerations. 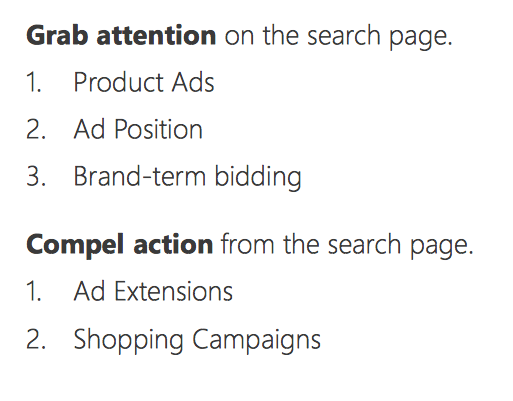 Ad Extensions in Search Ads are proven to bring forth results over and above Organic search.